You are looking northwest from the east side of Lake Calhoun. 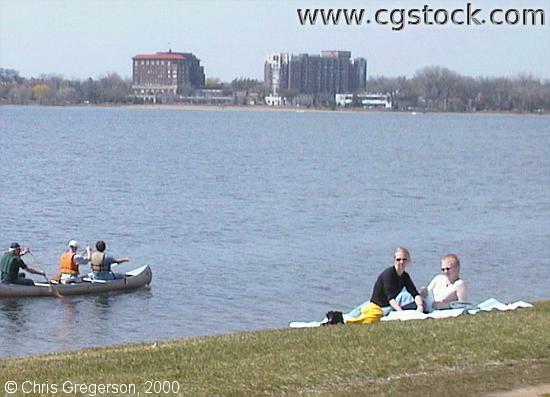 Two people are sunning on the shore on Earth Day, 2000, while a canoe passes by. The building in the background on the left is the Calhoun Beach Club.